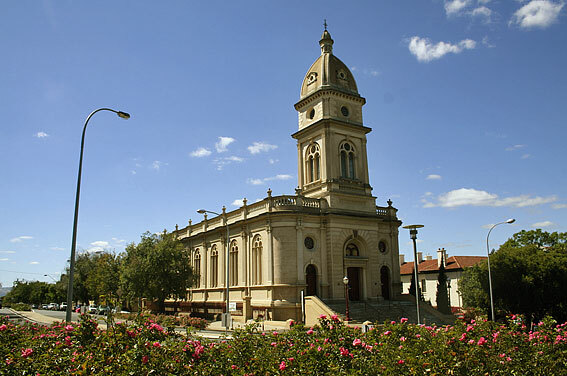 Brougham Place Uniting Church is one of the most prominent townscape features of Adelaide. 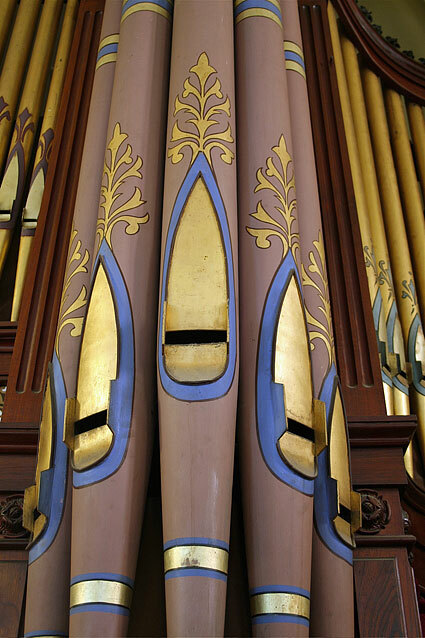 The organ is notable for its case and tonal design. Its location and action have changed over time. 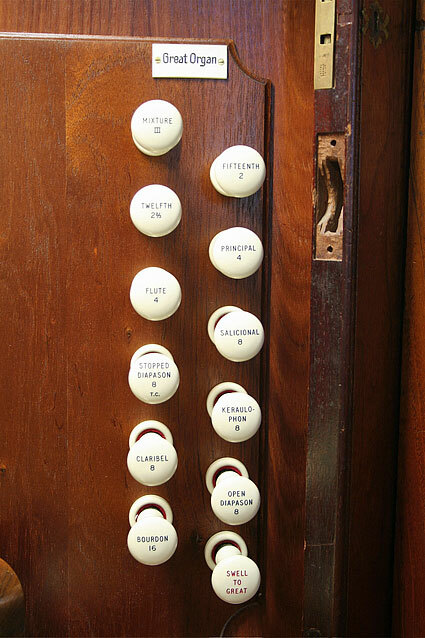 The console has been moved from its attached position and relocated to possibly two positions at floor level before returning to its current location. The action has changed from tracker to pneumatic to electric. The main bellows remains in position but is disconnected and smaller bellows have taken its place. Motive power has changed for hand pumping to hydraulic then electric motor. There have been some minor changes in the stop list and labelling. 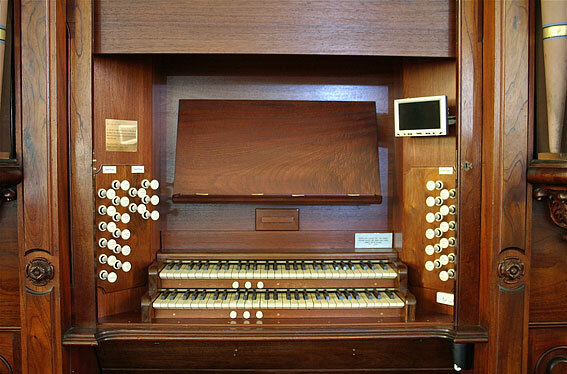 Despite this, the instrument must be regarded as one of Walter Rendall’s most important works. 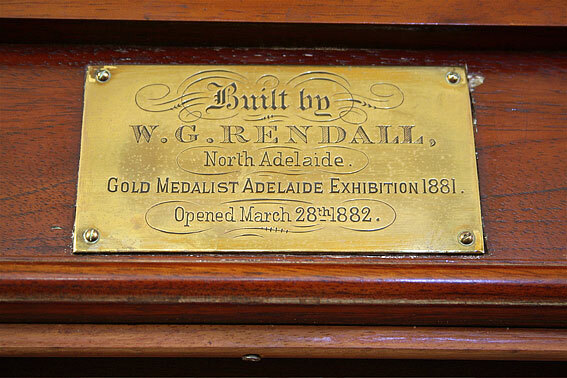 On 15 May 1860, the foundation stone (taken from the bed of the River Torrens) was laid. 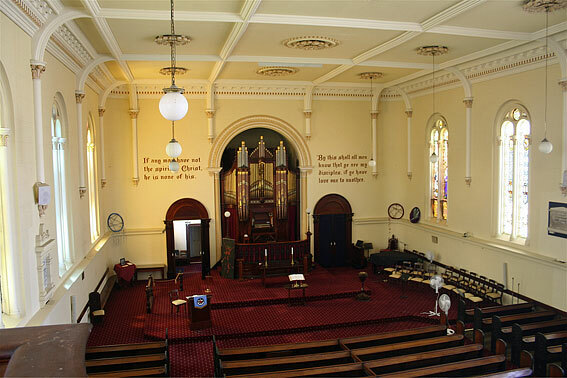 It is interesting to note that in addition to the usual records of the day, copies of the daily papers and coins of different denomination, was added a piece of Australian gold and a piece of smelted copper from the Burra Burra Works.1 The church architects were Edmund Wright and E.A. 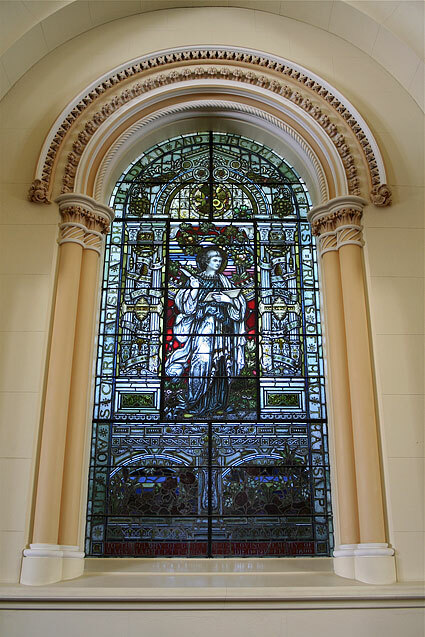 Hamilton and the traveller might be excused for making comparisons with the many churches rebuilt by Christopher Wren after the Great Fire of London in 1666 which “all had clear glass windows so as to show off the wood carving, painted altar pieces and ironwork” of the church interior.2 Although Brougham Place had no painted altar piece, and many of the original clear glass windows have now been replaced with colour, it did have ironwork in the altar rail, since removed, and plenty of soft hued timber. The church was to remain in an unfinished state for a period of 12 years before the tower and interior and exterior finishes were complete. In 1871, Hamilton submitted a design for a tower to be constructed to 107 feet (32.6m) in height. 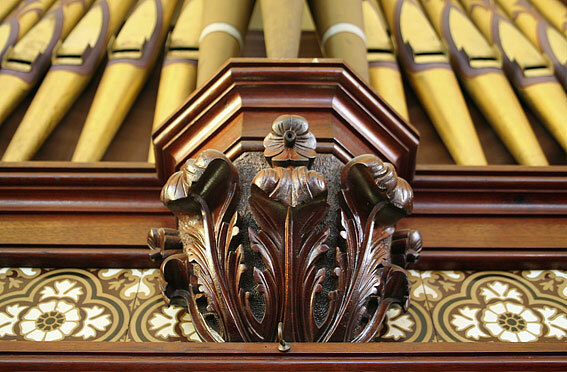 In 1878, Thomas Frost was commissioned to plan a lecture hall, classrooms and organ gallery.3 The harmonium could be dispensed with, allowing an organ to replace it. 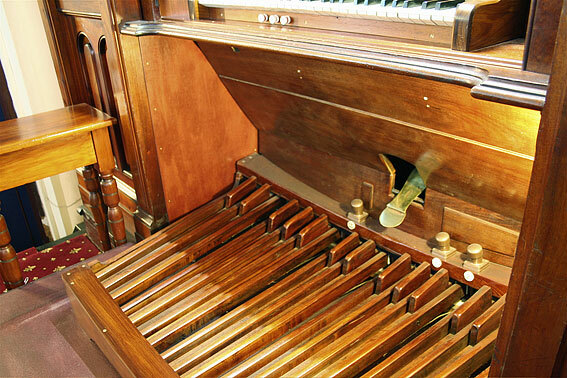 Of interest is the small room to the right hand side of the organ where there is the slot for the blowing handle. 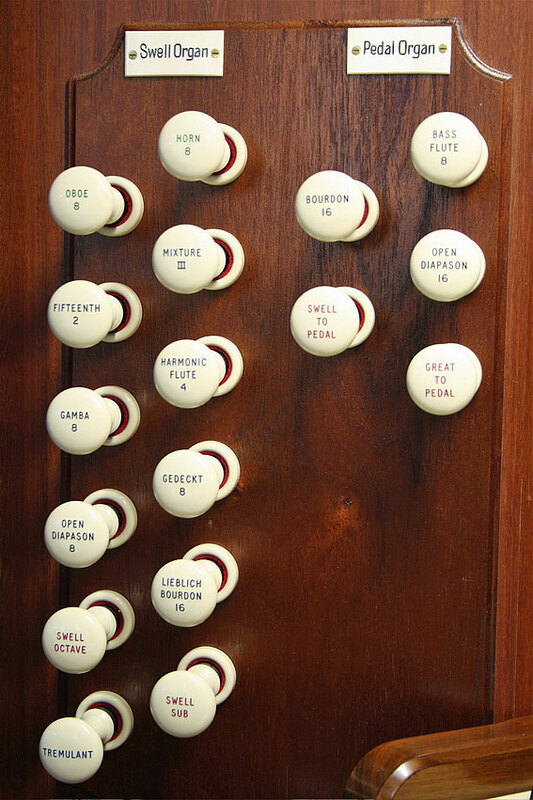 An “Honorary Organ Blowers Association” membership listing is recorded together with other historical graffiti. 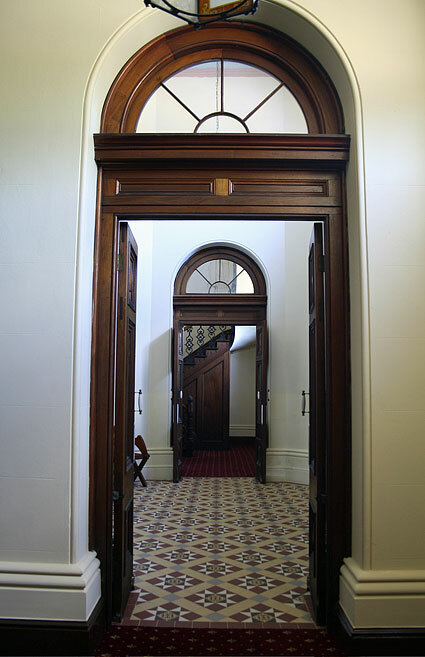 The name of F. Bevan is prominent. 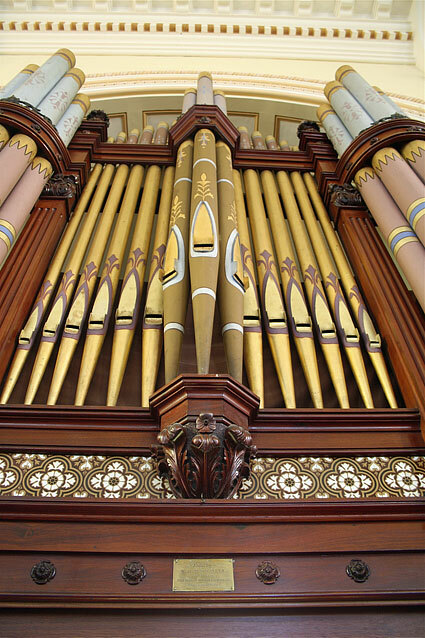 The hydraulic blowing engine remained in situ until major building improvements were made c.1977. 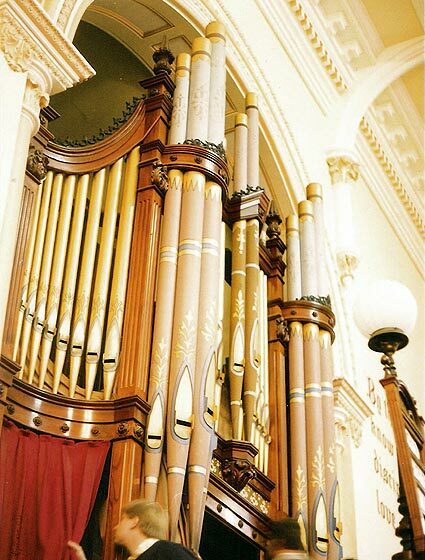 It was photographed before removal and now with the vertical pumping beam is in the possession of the South Australian Committee of OHTA. 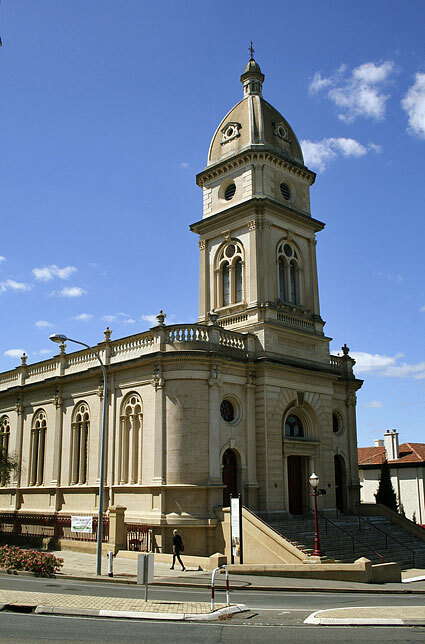 Keri Williams was a foundation member of the Adelaide Harmony Choir in 1947 and also a member of the church at Brougham Place. 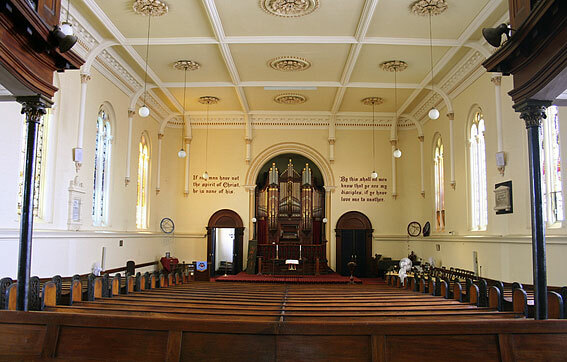 Largely through his efforts the church was restored, receiving heritage listing. 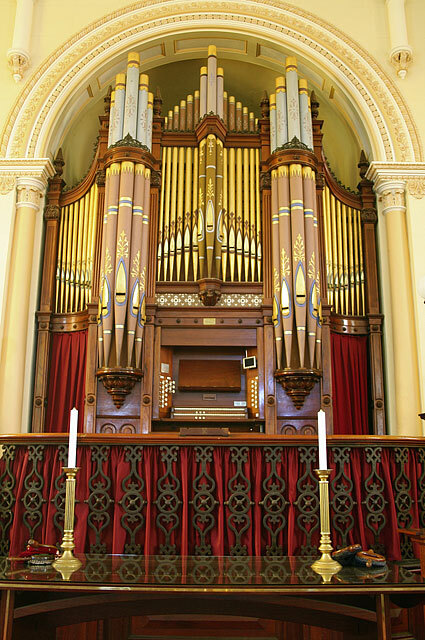 After his death in 1988, a memorial concert was held with the proceeds to go towards the restoration of the organ, a project that he also championed.14 Quotations were received from an organbuilder and advice sought from OHTA Director Ray Holland during 1999, but action was not taken until 2007 when the rebuilt drawknob console returned to its current position. 7 Fincham letters 12/50 25 (May 1882): Hobday to Fincham. 14 Programme with Adelaide Harmony Choir: Keri Williams Memorial Concert 6/8/1989.